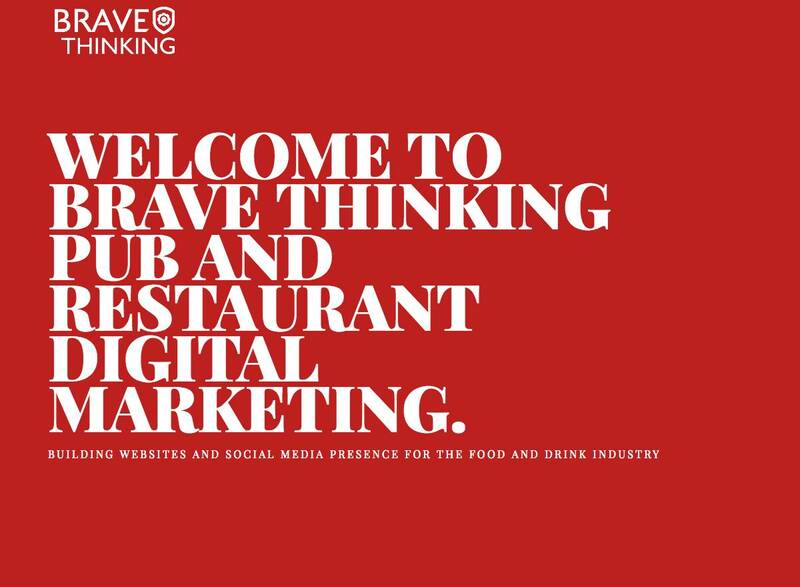 Brave Thinking's latest offering www.foodandbev.co.uk has just been launched and came from our steady growth within the food and beverage industry. Targeted at independent pubs, bars, restaurants, catering and pub companies, we provide a comprehensive menu of services in order to increase traffic to your website and ultimately through the door. Our success in website design, social media, food photography, interior photography and copywriting means your establishment will be portrayed in the best possible light, with social interaction online and carefully designed and considered posts all linking back to a beautiful website. We understand how time consuming it is running a food and beverage business so it's crucial that you, the owner or landlord, can focus on the running of your business while we work hard at making it as busy as possible. A long-standing love of food and drink combined with a team which includes a few with first-hand experience of working inside this industry places us perfectly to help you cover the digital side to your business. Professional help with your website and digital presence can deliver true results. Delivering your vision whilst you commit yourself to running your establishment knowing we have you covered. Take a look at www.foodandbev.co.uk and you'll be hungry to find out more or book an informal chat call us on 01403 753141.